Russell is living these days in Hamtramck, a separately incorporated enclave within the sprawl of Detroit and Wayne County. It’s always been an ethnic community, initially with a huge influx of Poles coming to work in the nearby factories and, more recently, with a large Middle Eastern population. Hamtramck feels apart from the rest of the Detroit area, too. We walked down its Main Street area yesterday, and it was as if we were on a Hollywood set for a Back To The Future-like ’50s period piece. No strip malls here, just individual buildings with street-level shops. 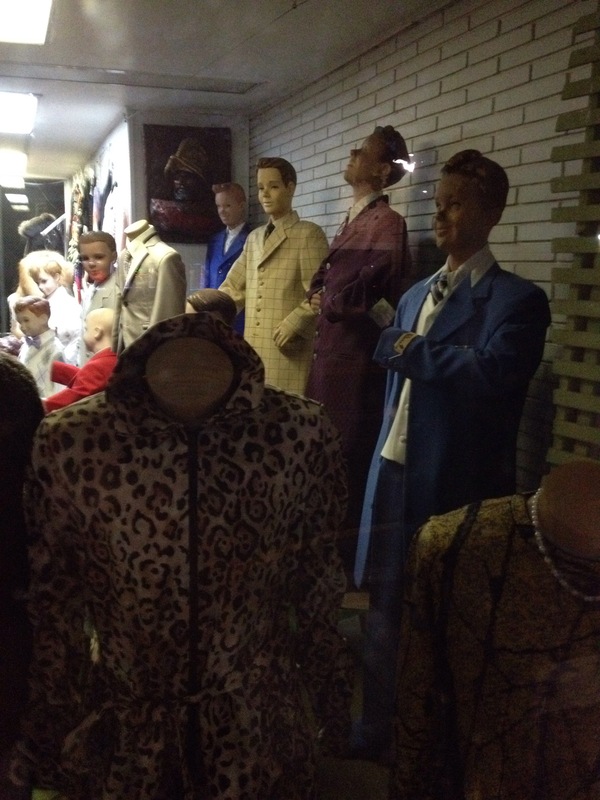 One of the shops, which sold clothing for men and boys, looks like it was transported directly from 1955. Check out the mannequin hair styles! To complete the time warp feel, when we were sitting in a Hamtramck tavern watching some college football, a friendly man came up, shook our hand, and announced the he had just been elected to city council and wanted to say hello. When was the last time that happened to you?